2Understand your audience: Getting to know your readers is an ongoing process that will never end. You can get insights into what’s important to them by researching your top viewed posts (Google Analytics will show you this) and the posts people comment on and share the most. If you’re just starting out with a blog, go through your emails and make a list of the most common questions people have asked you — your replies can be edited slightly and turned into blog posts. If you have a Facebook Page, take a look at your best content to glean ideas for blog posts. Finally, take advantage of opportunities when you meet people in person to understand what they want from your blog. 3Create scannable copy: You should know by now that people don’t read content on the Internet. They scan it, and when they find something useful, they read it. And even then, they’ll read only the paragraphs they can use. Breaking up copy with pictures and subheadings makes it easier for readers to find exactly what they want. Short sentences and paragraphs is another way to help readers scan your content, so try cutting your word count in half. Numbered lists and bullet points also increase scannability. Finally, make sure you use an easy-to-read font type (eg., Verdana, Arial or Georgia) and font size (14 to 16 pixels). 4Create copy people can understand: Once people scan your blog post and decide it’s worth reading, you want to make sure they can actually absorb what you have to say. Put your ego aside. Research shows that writing at a third grade reading level is best so that it meets the needs of all your readers. And get rid of the jargon. 5Use mixed media types: Don’t forget about videos, infographics, slides and other types of content. Some people prefer videos, while others prefer reading. One thing I’ve found with my blogging is that people tend to like it when I include screen captures. 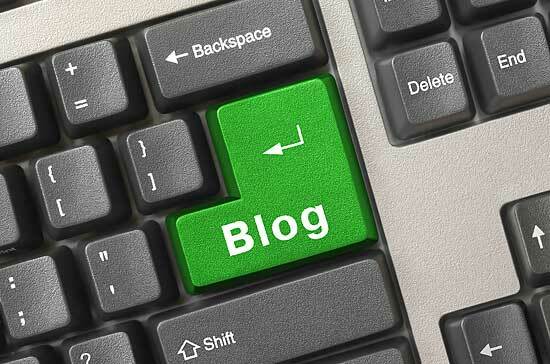 6Keep it short: Make every effort to keep most of your blog posts less than 300 to 500 words. This makes it easier to create content that is highly specific, and specificity also helps your SEO. If you can’t seem to write less than 1,000 words on a topic, chop it up into three separate articles that link to each other in a series. Posts over 1,000 words are OK occasionally, but just make sure the writing isn’t sloppy. 7Get people to comment: This is a tough one for me since most of my articles are how-tos (thanks for showing me how, bye!) . That said, people tend to comment on unfinished or controversial ideas. Don’t be afraid to take a position. Also, don’t be afraid to ask people to comment. 8Kill your need to be perfect: In the end, the only way you’ll write better blog posts is if you simply write a lot of them. Quantity will eventually lead you to quality. So accept where you are at right now and love yourself for being so beautifully imperfect. You’ll not only be able to get posts out the door, you’ll be happier each time you press Publish. Leave your awesome blogging tip below! • Socialbrite tutorials on how to blog betterJohn Haydon delivers social web strategy solutions for “the quick, the smart, and the slightly manic.” Curious? Then connect up: Contact John by email, see his profile page, visit the John Haydon blog, follow him on Twitter and Google Plus or leave a comment. Comments just to simply show support and gratitude are nice as well :) As we’ve done here. Always appreciate your great work John! Thanks. I think in the long run a good title isn’t any good unless you deliver original content…. otherwise it is a bit like shouting ‘wolf’….. you loose in the long run. Valuable tips… With changes in Google’s approach content aka blogging is becoming so much more important. Great tips – and well implemented in your post! I’ll keep them in mind as i’m putting my posts up. Great post. There are so many posts of this type but I’ve not often seen #4 (I find it difficult) and #8 (also difficult!) mentioned. I once heard another good piece of advice about blogging: write what you know best and link to the rest. Also, keep your focus narrow. That will help with the word count and your reader will thank you. Before start writing on any topic keep your audience in the mind. Post must be unique and fresh in term of concept, after publishing promote it on the different social media platform to skyrocket it.